Mustard Me Yellow: White Chocolate Raspberry Cheesecake. Now that I'm done working, I have a lot more time to cook/bake. You'll be seeing lots of food posts over the next few weeks! If you love cheesecake then you'll drool over these. 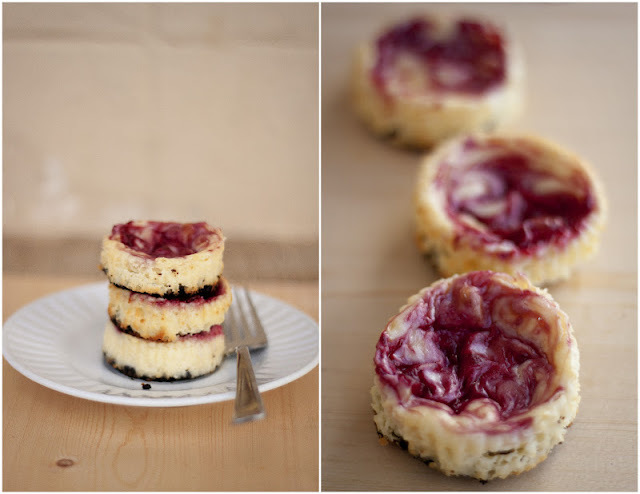 You can also put them in cupcake liners and make cupcake sized cheesecakes like these. Just bake it for about half the original time (about 30 minutes). Enjoy! You are done working? LUCKY girl! Ps. These look delicious!